This is terrific. The nose mixes flowers, pine, red berries, white pepper and a little brett but not too much. On the palate, there is bright, tart red fruit with significantly more intensity and extraction than I expect to find from a Loire red, much less a Pineau d’Aunis, accented by pine, white pepper, herbs, minerals and earth. However, the fruit intensity is well-balanced by good acidity. It’s also somewhat tannic. Excellent match with a potato/onion/red pepper/cheese omelette. Importer: Louis/Dressner. Delightful dusty herbal red fruit aromas and flavors dominate, with the herb component seeming more like sage than the oregano I often get from Loire Cabernet Francs, along with mineral and earth accents. Nicely balanced and smooth with refreshing acidity. Excellent match with homemade Chinese food. Importer: Simon ‘N’ Cellars. As always, this is very nice, with delicious tart cherry, lots of herbs and minerals, and some green bell pepper notes in a well-balanced, refreshing package. Excellent match with a variety of cheeses and with wild mushroom soup. Importer: Louis/Dressner. Rustic and not very clean with some VA. Juicy fruit, broad, chewy, expansive with oaky, teeth coating tannins and a long bitter finish. Fairly high acidity. Sweet strawberry core and a bit candied, but primarily a stiff, muscular, beefy profile along with the high acid. Disjointed. FOOD MATCH: Oysters on the half-shell make the classic pairing for Muscadet, but its crisp, tart and minerally character goes well with just about any seafood or fish. It was excellent with pan-seared halibut with a simple variation on Spanish Romesco sauce. VALUE: I can't locate a producer Website, but the U.S. importer links to an essay about Guindon Muscadet Coteaux de la Loire online. 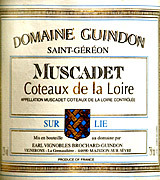 Compare prices and find vendors for Domaine Guindon Muscadet on Wine-Searcher.com. Wine-Searcher yields mostly British vendors, but the wine is available in the U.S. Check with quality wine merchants, or if you're stumped, the importer, Vintner Select, may be able to point you toward retail vendors in your region. Sarah Ahmed, aka the Wine Detective, knows her Loire wines very well and her blog is a fave of mine. Today she tastes Coteaux de l`Aubance. I will be posting some notes on the `07 Chateau Prince later this month. Here is a white from the northern Touraine slopes overlooking le Loir, a tributary which joins la Loire close to Angers. Coteaux du Loir "Vieilles Vignes Éparses" 2000 – Domaine de Bellivière, Éric Nicolas – Alc.12%, 100% Chenin blanc, showed a quite deep yellow colour and, perhaps misled by this, I thought at first that I detected sherry-like aromas of oxidation but, proceeding further, that note became more akin to attractive varnish and was allied to citrus, violet, flinty minerals and faint hints of honey. The palate was linear, quite long with crisp acidity, some underlying roundness and good slightly saline backbone but, at first with fish, there was a slight astringence and slight hints of cabbage on the finish presaging imminent break-up and the overall effect was somewhat disjointed. With Chenin friendly Sainte-Maure goat cheese, a miracle happened with the whole suddenly coming into focus, the slightly astringent finish softening and the cabbage disappearing; so with that goat cheese 16.5/20 but probably little future. I've had these around for a while in the cellar and have been looking forward to trying again. Safe to say this is the best $20 bottle of wine I've ever had. Ever. Concentrated, elegant, and expressive; on the big side for a Chinon with a classic earthy profile. Still showing very young; indeed, this is way too early to drink. This will be around 25 years from now. Having access to this wine for $20 is as close as I'll ever get to understanding what it must have been like to collect 1st growth Bordeaux prior to 1982. Ed you made my day as I have 2 sleeping in the cellar. Knew I should have purchased more at the time, alas have not seen Baudry up here since. Tim York wrote: Coteaux du Loir "Vieilles Vignes Éparses" 2000 – Domaine de Bellivière, Éric Nicolas...probably little future. Not an unreasonable verdict considering the vintage. Are you holding onto any other vintages of Belliviere. Any of the 02s? Ed Comstock wrote: 2005 Baudry Grezeaux Safe to say this is the best $20 bottle of wine I've ever had...This will be around 25 years from now...Having access to this wine for $20 is as close as I'll ever get to understanding what it must have been like to collect 1st growth Bordeaux prior to 1982. I don't know about your taste preferences but something tells me that this will probably start to drink well before 25 years. But no I haven't actually tasted this wine. (At least I don't think I have). But I have tasted vintages back to the late 80s and Grezeaux doesn't seem to have quite the depth of Croix Boissee. I guess it depends on personal preferences. I still like this vineyard a lot. Anyway, I also have these reactions where the QPR seems so ridiculously good. I just hope the prices don't go anywhere near 1st growth Bordeaux! Drank this last night after a brilliant bottle of 2002 Huet Pétillant and it had a tough time measuring up. There is some stern chalky firmness and minerality to the wine that makes me happy but there is also the slightly-brown slightly-oxidative character that does not convince me to get excited. Plus it seems to lack the extra dimension of a top wine. The same analysis applies today on the second evening. This wouldn't be bad for a glass or two in a wine bar but nothing very thrilling or inspiring me to repurchase. Starts off too round and sweet but comes into focus with a bit of air. It does its best with a bit of air when the long ripe round golden threads of wine meld with food and present an attractive and potentially complex taste package. However, over the rest of the night that package gets tiring and comes off as a bit simple and brawny and tilts towards plodding. Again, not a bad wine for a glass or two in a wine bar but it doesn't inspire too much drinking/thinking or excitement. At least right now. Plodding - there's a word you don't see in too many Loire notes. I don't know about your taste preferences but something tells me that this will probably start to drink well before 25 years. No doubt Rahsaan. I just meant that my guess is it will not have trouble lasting that long, which might surprise some people given that it's a $20 Chinon. Rather deep yellow in the glass, and that makes me worry. There's plenty of Chenin character (wet wool/quince) but an overlay of thick, cooked fruit that tamps down everything else. This seems very advanced, and as time goes on the cooked element becomes more and more dominant. Sad. Shame about that, David. I've had a lot more similar disappointments with Savennières than with Vouvray. Some do close down for extended periods but it doesn't sound like that here. 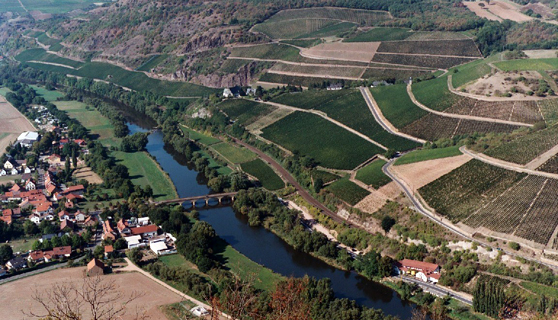 David M. Bueker wrote: Plodding - there's a word you don't see in too many Loire notes. Unless you're drinking these 'new' Savennières producers and you have a fetish for freshness. I've tasted both the 07 & 08 Belliviere Le Rouge and they are both delightful. Lou Kessler wrote: I've tasted both the 07 & 08 Belliviere Le Rouge and they are both delightful. I take it they don't taste like green bananas, then? Seriously, that's good to know. I love Pineau d'Aunis and while I don't think I prefer Belliviere's style, at least in 2004, to that of the other Pineau d'Aunis producers I have experience with (Clos Roche Blanche, Puzelat, Briseau, Lemasson, Domaine de Montrieux), it's certainly an interesting, unique and enjoyable take on the grape. Vive la difference. Cross posting from my notes from a blind tasting yesterday. Pale salmon-orange in colour; light on its feet with bright pink and white fruited notes, finishing dry but very refreshing with bright effervescence and good acids. Not particularly complex, but very tasty and enjoyable. Really lovely aromatics; high toned with bright red fruit, cassis and touches of green pepper; leather and touches of tobacco emerge with a little air and this is really light and polished in the mouth, refreshing with clear, precise fruit and bright acidity. Lighter than the '89 Bourguiel in colour; bricking at the rim with a fair bit of sediment in the glass. Not quite as enjoyable; red fruit, green pepper and herbal notes here with some strange slightly sweet tomato paste elements that make this a little awkward. Not for the mild-hearted or brett-averse; wild, sauvage aromatics of leather, meat and barnyard funk and softer red fruits and earthy notes underneath. The flavours are rustic but the texture is anything but; silken and polished with resolved tannins and plenty of lift, really lovely (and the favourite of the night for quite a few). Really lovely wine combining plenty of bright red and dark fruited flavours and tobacco leaves with the start of developing leathery and earthy elements in an elegant package with gentle tannins and really good presence and length with barely any sense of weight. Packed with youthful dark fruits, cassis and herbal accents, very primary, rich and quite tannic. Oof, this is a baby. Very dense and primary, full of rich dark fruited flavours with gravelly and faintly toasty accents over a firm spine of tannins and acids, incredibly young but the balance and structure suggests this has a great future ahead. Honey and sweet quince and apricot flavours with touches of ginger and lemon, but there's a strange asparagus-like greenness beneath that makes this feel quite pungent and a little awkward, finishing a little astringent and not quite what I'd expect from a QdC. Lovely round dark fruit with coffee, toasted wood and well integrated dark notes. Smooth, round. Fairly high acid, but very well put together. A real treat, a beautiful wine. I could drink this often. Two nice wines. 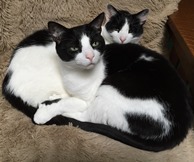 Each in their own way. The 2005 shows great poise and completeness, although not the most electric energy right now. The 2008 has all that fun young brisk salty lemon mineral water Muscadet tingle. But perhaps less full poise. Choose your weapons accordingly. And have fun. No surprises here. First impression is of a hollow iron wine. With air it broadens a bit but is still too dominated by the hard currant iron for me to really enjoy. Others may find more inside this bottle but it feels too old/eviscerated for me. While this Bossard did not seem old, it instead had an odd aroma almost exactly like latex paint that distracted/detracted from the lemony/stony goodness underneath. Tolerable but nothing more. Anyone know of any good books on the Loire wines (in English)? Matt, this question has been asked on the UK wine forum! 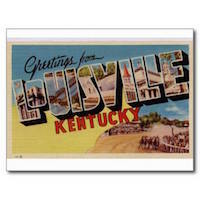 Not much luck but there are some great blogs and of course Jim Budd and Chris Kissick. Matt Richman wrote: Anyone know of any good books on the Loire wines (in English)? It's dated, but I've liked (and made good use of during a trip to the Loire 10 years ago) A Wine & Food Guide to the Loire by Jacqueline Friedrich.